Using Satellite Observations for Conservation: A Special Feature for the IUCN World Conservation Congress. 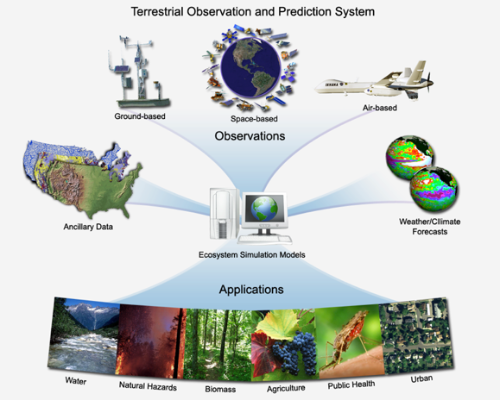 The Ecological Forecasting Applications area promotes the use of Earth observations and models to analyze and forecast changes that affect ecosystems and to develop effective resource management strategies. 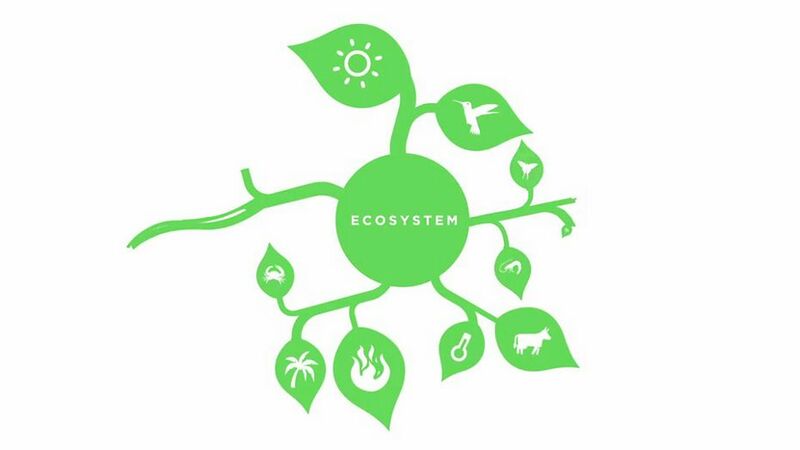 Primary user communities are natural resource managers (both land and marine) and those involved in conservation and sustainable ecosystem management. Penguins have been identified as key indicators of the health and status of the Southern Ocean ecosystem, which is currently threatened by commercial fishing, a growing tourism industry, and the effects of climate change. 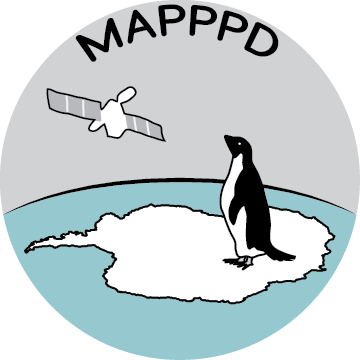 Researchers at Stonybrook University are using remote sensing technology to identify penguin distribution and abundance as well as predict species presence and population size. Researchers from the University of Wisconsin are partnering with the Wisconsin Department of Natural Resources to monitor and model wildlife populations such as black bear, grey wolf and bobcat using camera traps and remotely sensed imagery. The camera trap data are being integrated into a crowdsourcing web page, called Snapshot Wisconsin, where people can go to help identify the wildlife in the photos. 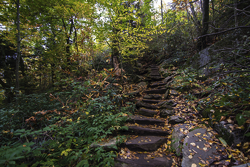 This information will provide valuable information to the Department of Natural Resources about the location and amount of wildlife in the state to help them make resource decisions. Native salmonid populations have declined dramatically resulting in mandated conservation management and restoration efforts in the US, Canada and Russia. 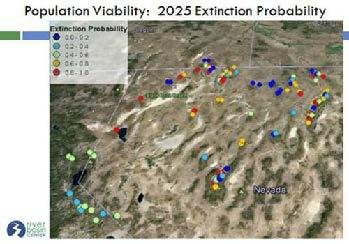 To protect these species and plan for future climate changes, researchers at the University of Montana are developing a web-based decision support system, the Riverscape Analysis Project, to help conduct climate change vulnerability assessments so resource managers can plan and prioritize conservation actions. 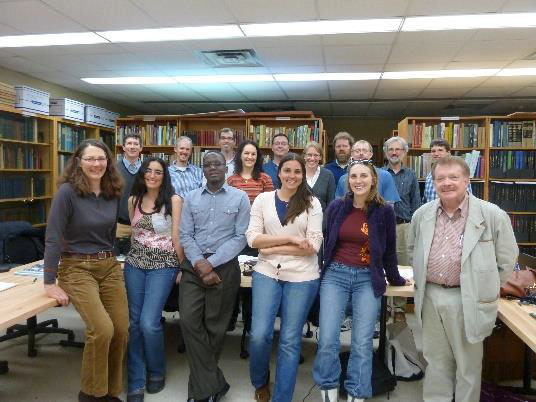 The Ecological Forecasting Program supports the use of Earth Observations to promote conservation and management of global fisheries. 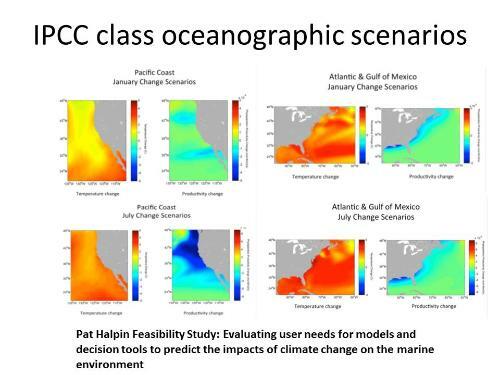 A current project led by Roffers Ocean Fishing and Forecasting Service is using remotely sensed ocean color data to develop composite images that are very beneficial to guide NOAA field sampling cruises to drop nets at locations most likely to result in catches of tuna and other billfish larvae. These cruises provide data to validate habitat and stock assessment models, improve understanding of larval ecology, and enable more effective management of U.S. and global fisheries. 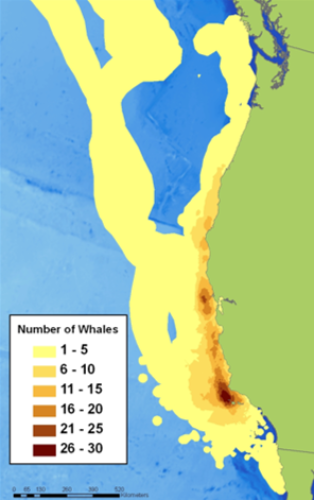 The WhaleWatch project is applying satellite technology and environmental data to generate near real-time predictions of whale occurrence in the California Current. 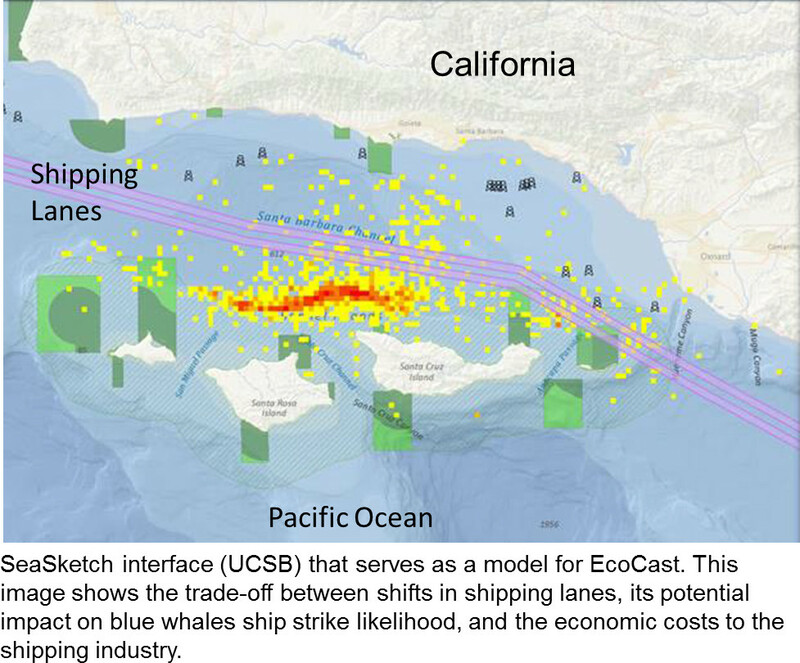 It seeks to reduce whale ship strikes and entanglements by providing near real-time predictions of whale occurrence. 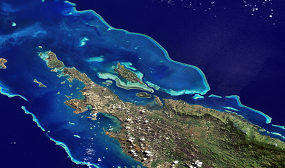 The National Oceanic and Atmospheric Administration (NOAA) has developed a Decision Support System (DSS) under the Coral Reef Watch (CRW) program to forecast environmental stress in coral reef ecosystems around the world. This project is augmenting the Coral Reef Watch (CRW) DSS with higher resolution remotely sensed data to improve monitoring of the health of global coral reefs and conservation. This GEO Initiative seeks to understand and enhance the use of Earth observations for the development of Ecosystem Accounts. 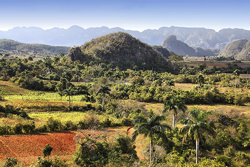 It will provide governments with tools to inform management and policy options for activities that will impact a country’s natural capital. 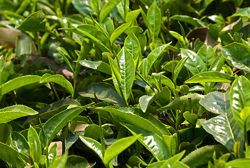 EO4EA will assess how Earth observations can measure ecosystem extent and condition. 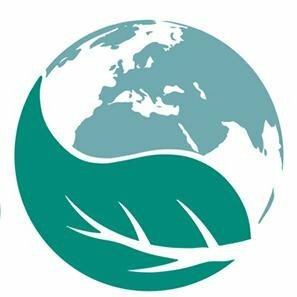 This GEO Flagship is developing a global biodiversity observation network for effective management policies for the world’s biodiversity and tracking changes in ecosystem services. 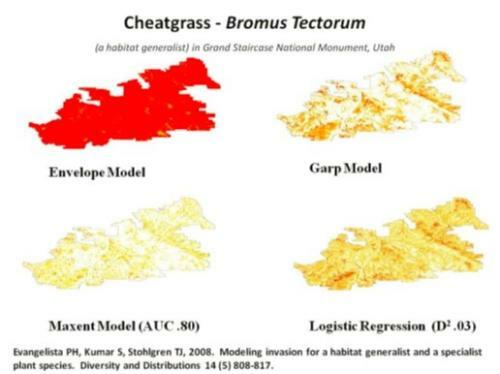 GEO Bon facilitates national, regional and thematic networks for the acquisition, coordination, and delivery of biodiversity observations and ecosystem services. Some people find working with satellite and environmental data a big morass of intractability. 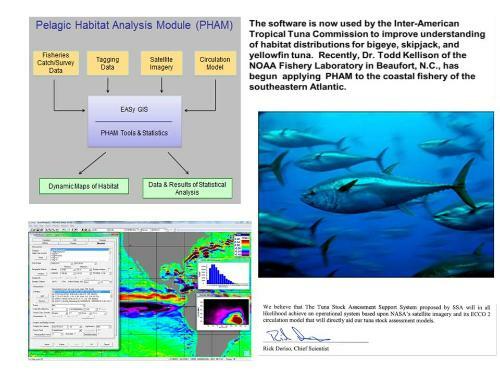 PHAM gives them the ability to take these satellite products and use them in their statistical analysis. 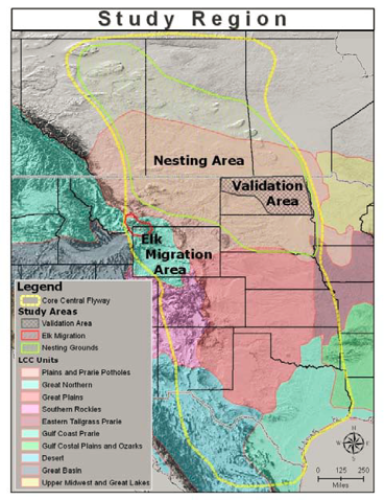 We are using data provided by [the project team] to better determine how waterfowl populations in the North American prairies will respond to system change. 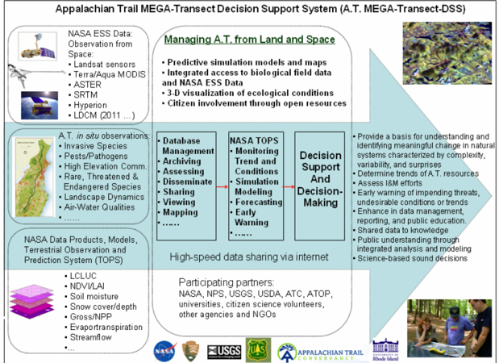 The California Current Integrated Ecosystem Assessment is excited about the results of the NASA project. The project directly addresses some of the highest priority Council stock assessment and management needs, and could greatly assist the fishing industry in long-term planning. 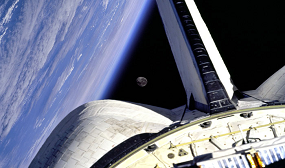 We needed the NASA data to make this happen and are very thankful to have this quality input. This model shows finer-scale temperature fluctuations that were not possible to model before. 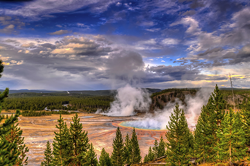 NASA data has been critical to monitoring the environment. … It’s a core metric for how we are doing our work. 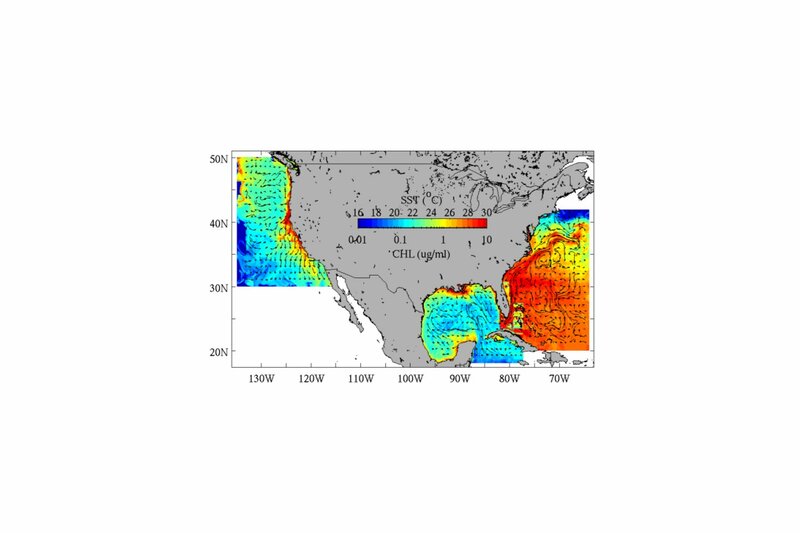 Satellite-derived data provides an overview of ocean conditions that are not available from traditional shipboard measurements. 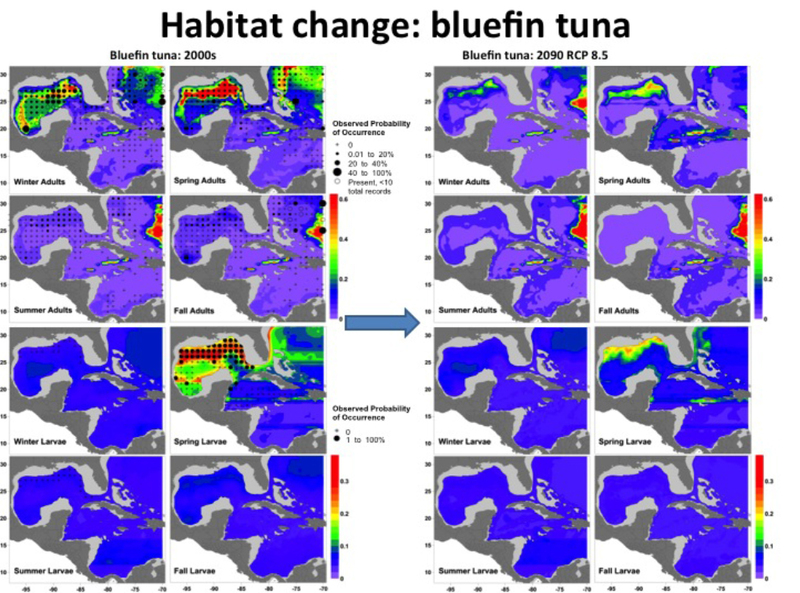 This capability greatly expands our understanding of larval Bluefin ecology, and has allowed us to target specific areas resulting in the development of an improved larval index. 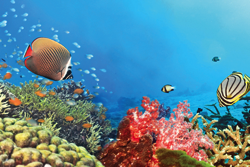 The new data products provide observations closer to the scale of coral reefs. Managers want to know as much as we can tell them to help their management of reef resources. 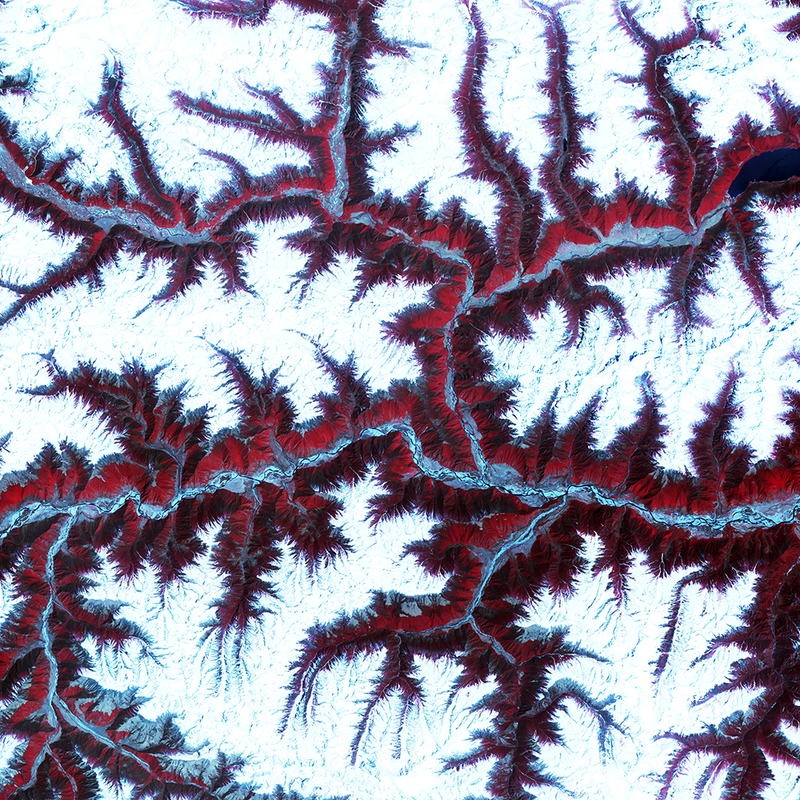 We see this project as part of an ongoing effort to improve spatial density estimations, and NASA’s Earth observations will play an important role in it. A New Web Services-Enabled Decision Support System Makes Time-Sensitive Geospatial Data Immediately Accessible To Those Working On Postfire Rehabilitation Efforts. NOAA Scientists Pioneer Study Of Environmental Influences on Fisheries. The 2016 Ocean Sciences Conference. Kit de herramientas para mejorar el seguimiento y análisis de la diversidad biológica. 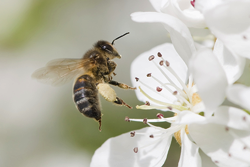 Toolkit for Improving the Monitoring and Analysis of Biodiversity. Over the last century, California's Central Valley has lost 95% of the wetlands habitat, is needed for shorebirds on their migration.